Begun as Desert Media in late 1994, the small startup company published a direct-mail marketing publication distributed monthly to approximately 18,000 businesses and homes in eastern Oregon and Washington during the mid-to-late 90s. Many innovations later, we remain directly descended from this tabloid trail blazer. 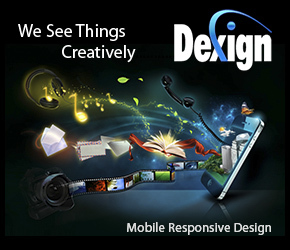 In recent years, following design of numerous web projects in the broadcast and non-profit sector, Dexign Media was branded and launched in October, 2009. Check our list of current and previous projects covering much of our design history. Recent projects are featured. Click to view a larger comprehensive list of both web and press clients. Clients shown do not represent an exhaustive list; certain clients may be absent.